In the Netflix original documentary "Gaga: Five Foot Two", Lady Gaga offers a vulnerable look on her life during one of the most pivotal periods in her career yet. 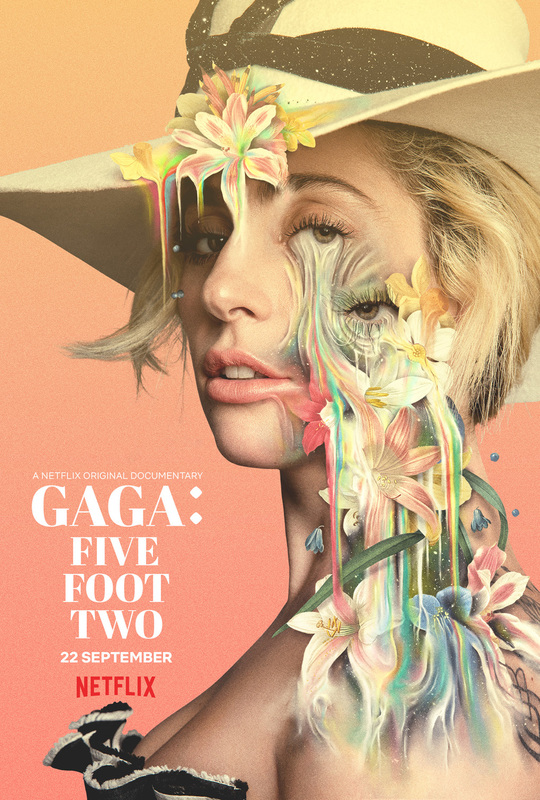 Directed by Emmy®-nominated filmmaker Chris Moukarbel, the film is shot in the style of cinema verité, giving viewers unfiltered, behind-the-scenes access as Gaga spends time with close friends and family members, records and releases her 2016 album Joanne, and deals with personal struggles. Moukarbel’s compelling portrait captures Lady Gaga’s life over an e 8 month period. On top of professional triumphs, viewers will see her cope with intense emotional and physical pain. Other moments reflect more ordinary aspects of her life, whether it’s attending a family christening, visiting her grandmother or cooking and playing with her dogs at home. The film may help viewers understand how all of these experiences contribute to Gaga’s art – and how, in just a few years, the 5-foot-2 performer has become such a relatable and beloved figure worldwide. You can also visit netflix.com/gaga for more details on the film.